Slim-line grey leatherette wallet. 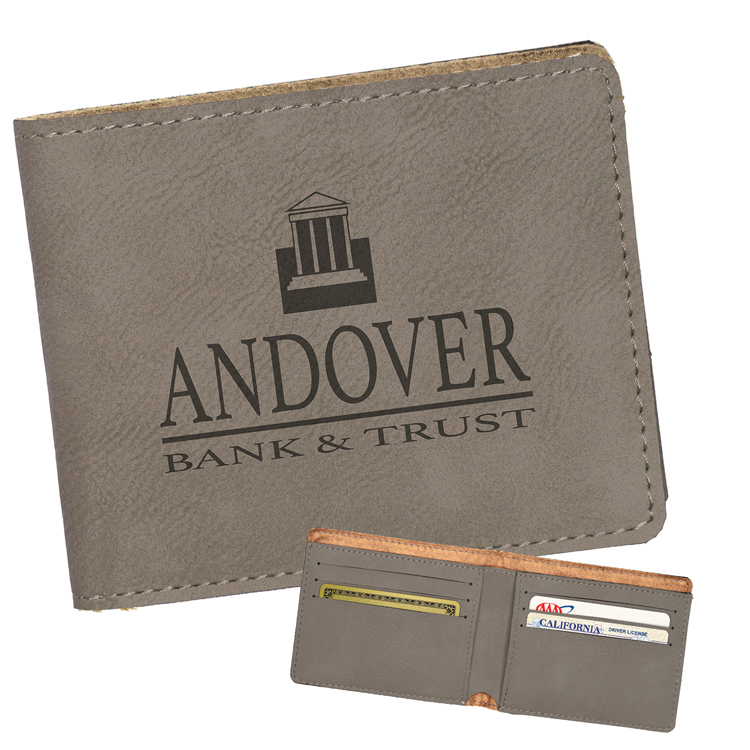 Stylish wallet features 6 card slots and a paper bill compartment. Free Setup; Gift Personalizations: $3.50 (v) each. Free Setup; Gift Personalizations: $3.50 (v) each.